If you are looking for stylish looking rain boots for under $100, look no further! 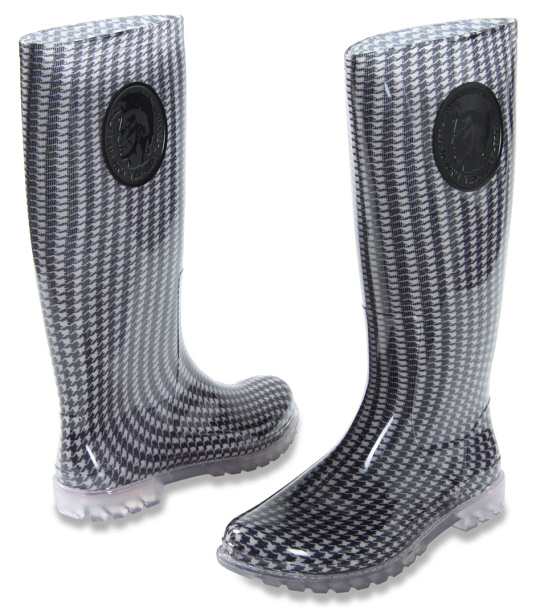 The houndstooth print looks fantastic on this Diesel rain boot! Maybe because the print is in smaller scale? Stamped with a cool Diesel mohawk logo on the side. If you prefer solid colors, check them out in black and purple.